﻿ Hotel Filippo Roma Rome. JIMAT di Agoda.com! Ada soalan mengenai Hotel Filippo Roma? Terletak pada kedudukan yang baik di kawasan budaya, restoran, siar-siar di bandar Rome, Hotel Filippo Roma menyediakan tempat yang paling sesuai untuk anda berehat seketika dari kesibukan hari anda. Terletak hanya 1. Km dari pusat bandar, para tetamu berada di lokasi sesuai untuk menikmati tarikan dan aktiviti di sekitar bandar. Dengan lokasi yang mudah, hotel ini memberikan akses mudah ke tempat yang anda perlu lawati di bandar. Kemudahan dan perkhidmatan yang disediakan oleh Hotel Filippo Roma memastikan penginapan yang menyenangkan bagi para tetamu. Untuk keselesaan dan kemudahan tetamu, hotel ini menawarkan Wi-Fi percuma semua bilik, Wi-Fi di tempat awam, tempat letak kereta, khidmat bilik, pengangkutan lapangan terbang. Hotel ini mempunyai 26 bilik yang sangat cantik, setiap bilik dilengkapi televisyen skrin rata, internet wayarles, internet wayarles (percuma), bilik larangan merokok, penyaman udara. Di samping itu, pihak hotel menawarkan aktiviti rekreasi untuk memastikan anda mempunyai perkara untuk dilakukan sepanjang penginapan anda. Kemudahan yang hebat dan lokasi yang sangat baik membuatkan Hotel Filippo Roma menjadi asas yang sempurna untuk menikmati penginapan anda di Rome. Bermula 1 Januari 2011, Majlis Bandaraya Rom akan mengenakan cukai penghunian bilik berjumlah maksimum EUR 3 setiap orang semalam – terpakai untuk maksimum 10 hari. Mulai 1 September 2014 harga telah meningkat sebanyak EUR 7 seorang semalam (bergantung pada jenis penginapan dan taraf bintang). Kanak-kanak bawah 10 tahun tidak dikenakan bayaran. Bayaran akan dikenakan pada akhir setiap tempoh menginap untuk mana-mana orang yang menginap semalaman di dalam sempadan Rom. Bayaran ini tidak termasuk dalam harga Agoda dan mesti dibayar di Hotel. Kanak-kanak bawah 10 tahun dikecualikan daripada surcaj cukai bandar. Kamar yang bersih dan cukup luas dengan pelayanan staf yang ramah. the location of the hotel is a bit far from the station because the rooms are in a different place from the receptionist. luckily the rooms are close to the bus stop. the rooms are clean and very nice. Without doubt one of the favorite hotels, we stayed during our time in Rome! Upon arrival, we were warmly welcomed by the owner/manager Mr. Lee. He was extremely helpful throughout our stay and does a great job here. Location was perfect. The room was spacious and clean and the maids ensured to be immaculate on a daily basis. The hotel services provided, an operational free lift, Minibar, Wi-Fi and the parking for our rental car were excellent. Good breakfast and a coffee/tea/ chocolate machine in the breakfast room on all day and night. We had four great evenings here, which obviously also added up to the experience. What a great hotel and comfortable stay to come back again. The room is large and comfortable. The toilet is clean. The breakfast is basic but sufficient. The owner & staff are super kind and friendly! They helped us so much in planning for the trip in the city and gave us advices! They even gave us free map and printed our online ticket. 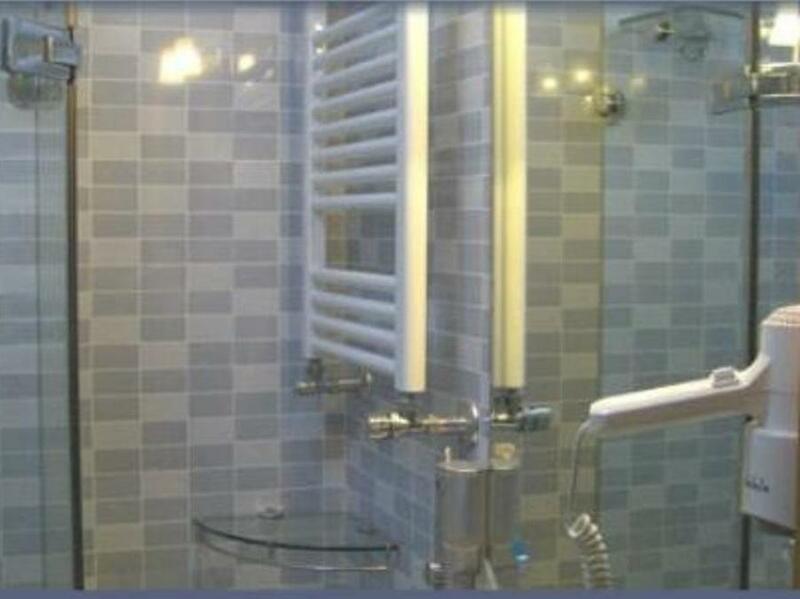 The location is near Termini station so it's very convenient. However, we had to be a bit more careful at night because the road is a little dark and there are some drunk people walking around. The hotel was initially a bit hard to find. The host is really helpful and providng lots of tips for us. The place is a bit difficult to find at first time, just call hotel when you are in the neighorhood, the host will pick you up especially when you check in at night. The neighborhood may not be that decent, but, it's convenient to take trains if you plan for visiting other city, and there's express but to airport close by. Location wise, it's great. I reached Rome early at 7 and I had a hard time searching for the hotel becuase there wasn't a clear signboard. Finally I found it and Mr Lee offered me a room although I can only checked in at 12pm or 1am. Very grateful because we were so tired after a 6 hours train from Venice. The room was clean and modern, I would say it was the best in my 16 days in Europe although not the most expensive. He's a great guy, passing me a map, breakfast voucher, explained to me the area, nearest Metro and the directions to POI. Everyday when we were back in the hotel, the rooms were packed and cleaned. I really have no bad comments about the hotel. I would certainly recommend the hotel to all people if you are visiting Rome. The area is safe with restaurants nearby, Metro is 5 mins walk and I feel comforatble becuase it is like a mini Chinatown. we love the location of the hotel, from the outside it was just an old building, but upon entering, it was like in a different place, high security, need to open three to four doors/gates to get to the rooms. Booked two rooms, both are spacious with great beds, very comfortable, very cheap, wifi available etc. However, it was very hard to locate the hotel at first, no sign/label just based on address. The hotel was located very very close to the main train station. The entire place including the room was very clean and kept well. The staff was very quick, helpful and accommodating to needs. Its a great value for money given the other costly places in Rome. Actually we book this hotel at first, but when we arrive at the hotel, the staff arranged us to go to his parnter hotel called sky Roma hotel. The hotel is not easy to find and located sincd it is inside a building , but the room inside is new , big and clean .I think that it is acceptable and lovely to stay in here. I will back to there in the late of Augustand i will book it again! we love this hotel, and will definitely stay again. The service is very nice. And old man even took us to local fresh ice cream factory, and treated us two ice-creams (money is small thing, but the friendly service is great), they also give us a good tip to the good restaurant. In all, we would come and stay again. Hotel is very clean and nicely decorated. It is just approx 2 to 5 mins walk to the metro station. I requested for extra stuffs and it was provided within 10 minutes. They have transportation service to both airport in Rome for EUR40. Wonderful stay there. We were led to a room at another apartment one block away. The room was spacious and clean. The reception was not sited at this apartment but every call to the reception had been answered promptly. Wifi in the room was okay. Breakfast was just a croissant and a drink served at a cafeteria at the train station. It's Italian breakfast anyway, so it's fine for us. Overall the stay was pleasant. We would stay at this place again if we visit Rome next time. 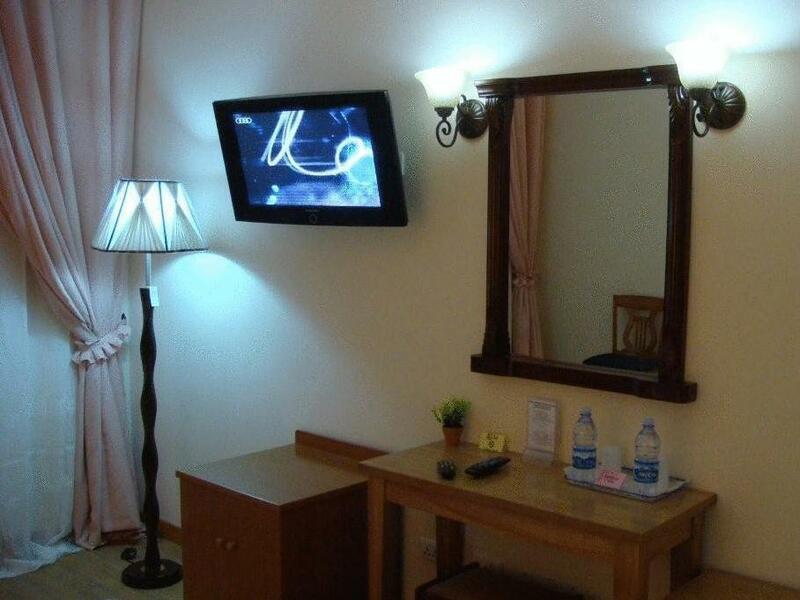 Hotel room is well furnished and service with smile. This is the only hotel in our Italy trip provide 2 free bottles of water everyday.There is a machine provide free coffee for hotel guess too. Location is good, near train station. Rooms are well furnished. Hotel staff are very helpful.But you need to go to a nearby cafe for breakfast, and the breakfast is a cup of coffee and bread only. Many thanks to Agoda - we made some amdts in our booking dates but the hotel did not make any updates - but it was settled very quickly. The rooms are cleaned daily, there is free wifi and even a big dinning room with free coffee!! A family run business, they are really good and fast and efficient and very very helpful. Right in the heart of the city, there are many good shops nearby, 2 supermarkets, one market, and many speciality shops & the best and cheapest gelato sold nearby. 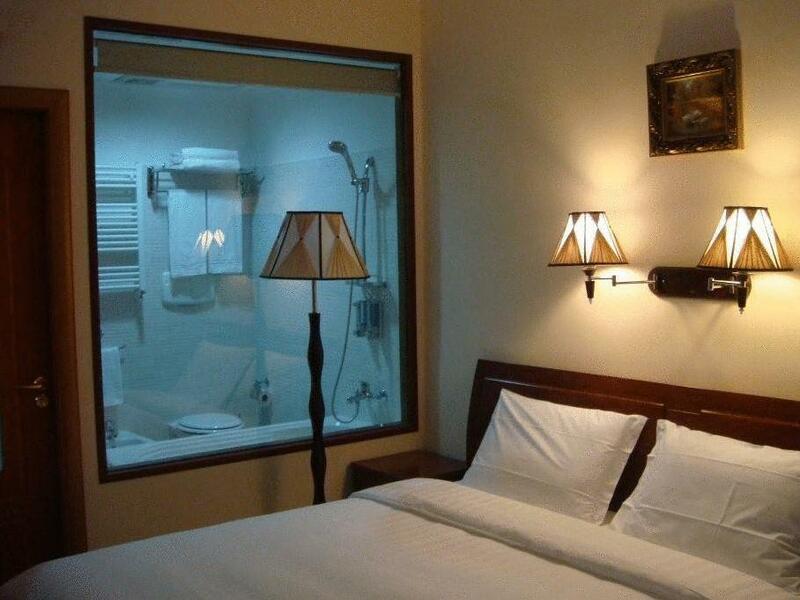 Safe area and very very clean - towels etc are changed daily with a good air-conditioner. Lee, the owner was very accomodating. His room was surprisingly spacious and comfortable. 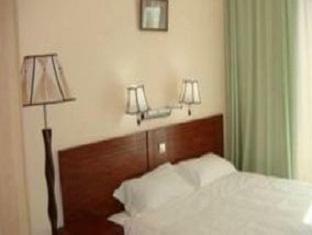 Room was clean and amenities were just enough for travelers / tourists like me and my friend. Its value for money. Although strategically located, you may feel scared at first with many homeless and seemingly “ notorious” blacks hanging out along the streets going to Roma Termini. Was taken to another hotel of the some management, just around the corner ( He seems to manage over three hotels in the same area.. So the review is not over Filippo, but over sister hotel. In fact it was more B & B, than hotel. The reception was not manned at all. The customers got keys to the building to walk in and out. That's review on the staff. All in all, as B&B quite good, but hotel,hmmm. The staff is very nice. Location is good, closed to Rome Termini. With lift is plus. very value for money. it's comfortable. nothing fancy. 5 min walking distance from Roma Termini station, 2 min from metro. Location was perfect. Clean rooms, unlimited coffee, ans they even let us store luaggage after checkout for free!